POLICE INVESTIGATING THE murder of a well-known Irish aid worker in South Africa have released CCTV images in connection with the attack. John Curran, who was in his 60s, was found stabbed to death in his apartment in Cape Town last Wednesday. 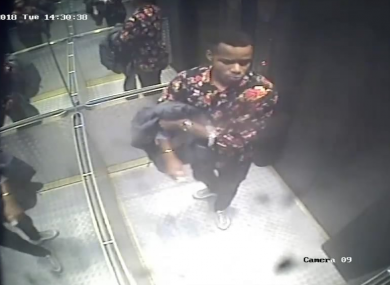 South African police have released a series of CCTV images of a person they are seeking to question about the incident. A spokesperson for South African Police said there have been no arrests so far but detectives are following up on possible leads. “The finer aspects of our investigation cannot be disclosed at this stage,” Captain FC Van Wyk said. Curran was well-known in Irish education circles and had been principal of a school in south Dublin. In South Africa he had been working with the Mellon Educate charity. He had four children and six grandchildren. His son Eoin died in a tragic sailing accident in 2010. The Irish Primary Principal’s Network, of which Curran was a member, paid tribute to him following his death. “Our hearts go out to his family, his very wide circle of friends, his colleagues and all who knew him. A founding member of IPPN, John served on the IPPN Executive Committee from 2000 to 2007 and was PRO from 2005 to 2009,” the network said. Email “Police release CCTV images in connection with murder of Irish aid worker”. Feedback on “Police release CCTV images in connection with murder of Irish aid worker”.